Get Connected in 2017 | New Growth Hair Magazine | We capture the culture of urban barbershops and beauty salons. 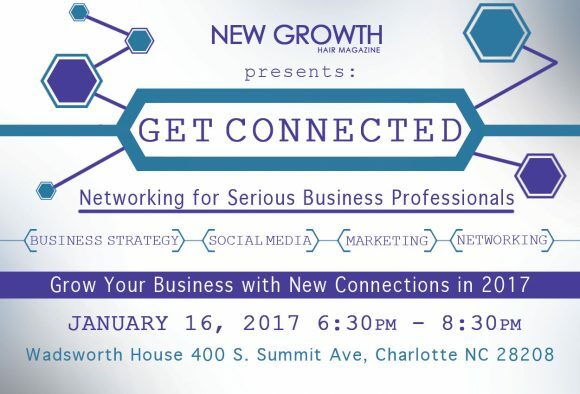 New Growth Hair Magazine is bringing entrepreneurs and aspiring entrepreneurs together to network, to discuss business strategy, share information about the power of social media, and marketing. Business owners who attend Get Connected will have an opportunity to share information about their business and connect with other businesses owners. Please come prepared with a 2 minute pitch about your business to share with all attendees. Also, please bring business card and other marketing materials to share with everyone. Check out George Fraser discussing the importance of networking.